SeeveTEC is the packaging machinery brand of LINDER GmbH. From simple semi-automatic strapping machines, carton sealers and erectors up to fully-automatic strapping machines with integrated conveyor technic, the entire range of packaging machines can be offered. In addition, excellent customer support is guaranteed by our European network of technicians. Consumables for all machine types comes directly from LINDER GmbH providing quality manufacturer's quality. Simply give us a call or send us an email - we are looking forward to hearing from you! 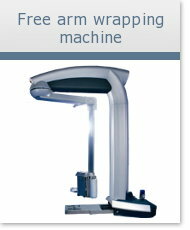 Free arm wrapping machines are wrapping machines on which the cargo is not turned but a so called "arm" turns around. This is recommended for very light or very heavy cargo. The turntable wrapping machine is the basic version of a wrapping machine. The cargo has to be put on a routating plate, which turns the cargo and so the plastic film is wrapped around. This is basically cheaper than free arm wrapping machines but the cargo has to be stable and of a certain weight. Wrapping robots are either lead manually around the cargo or they are driving around and wrapping the cargo automatically. 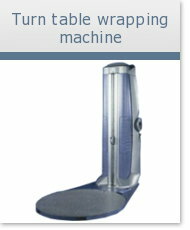 This is ideal for minimum wrappings per day and for very long or broad cargo. 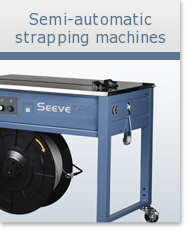 For packages and parcels, simple and cheap semi-automatic strapping machines are available. 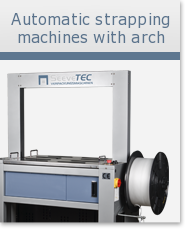 With the number of packages a day bigger than ~ 40 pcs, an investment in automatic or even fully-automatic strapping machines where the strap is shot through an arch would make sense. 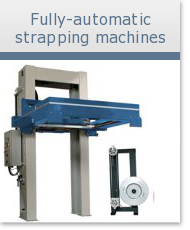 For strapping of pallets, the range of available strapping machines also comprises simple semi-automatic machines where the strap has to be pulled manually over the packaging good as well as fully-automatic machines that can be integrated in an automized packaging line. If you have to seal a larger amount of cardboard boxes a day, investing in a cardboard sealer would make sense. If cardboard box sizes are almost always the same, a semi-automatic carton sealer would be sufficient - otherwise a fully-automatic carton sealer would be preferable. 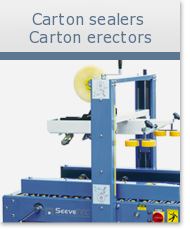 Supplemented by a carton erector, the entire sealing process can be automized. 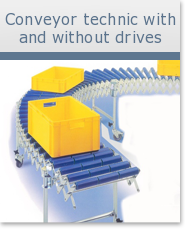 On this website you can find a full range of conveyor technic such as conveyor belts and roll conveyors with or without drives. In addition you will find out the difference between standard, light and heavy duty roll conveyors as well as the advantages and disadvantages of plastic and steel rolls. 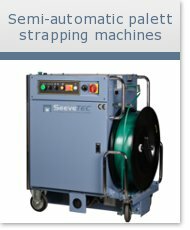 You will find all information about SeeveTEC's prdouct range on this website – semi- and fully-automatic strapping machines, carton sealers, carton erectors, conveyor technic such as roll conveyors with or without drives etc.! 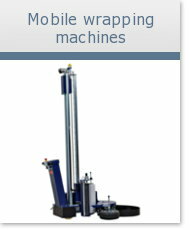 To round up our production programm, we installed a new product categorie of wrapping machines. So we can ensure a customer support in every range of transport packaging, starting with strapping and pasting up to streching. Three standard types of wrapping machines can be differentiated: The most common stretching machine is the socalled turntable wrapping machine, at whom the cargo is put on a rotating turntable to be wrapped. If the cargo can not be turned cause of instabilities or too little or rather too heavy weight, free arm wrapping machines are the optimum. The palett is positioned and the arm circles around it while wrapping. The third category are our wrapping robots. They drive around the pallet automatically or wheeled by person. This is the low price alternative in comparison with free arm wrapping machines, but it should only be used with minor daily amounts of pallets as the speed of stretching is much slower than with the free arm stretchers. Additionally, wrapping robots are ideal for usage with cargo which is too wide or too long for standard wrapping machines.